Translating from ASL is full of challenging exercises on DVD to heighten your awareness of message transfer skills in a way that ultimately improves the interpretation process. 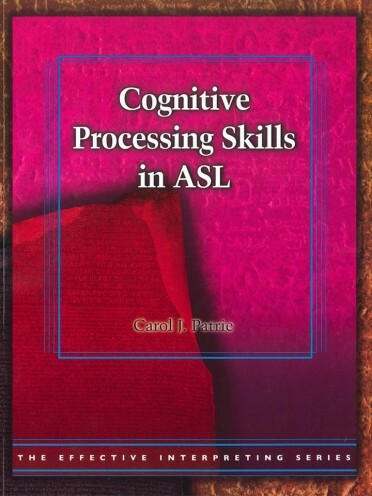 Translating from ASL can help you study the process of message transfer without the pressure of real-time processing associated with simultaneous interpreting. Helpful theoretical introductions for each topic, Study Questions, and a structured Five-Step Follow-up make these materials a comprehensive, powerful learning tool. 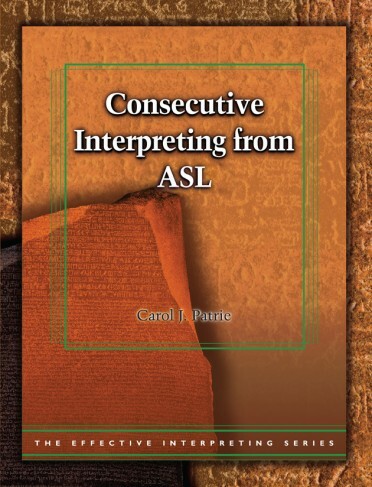 The Effective Interpreting Series is a comprehensive, multi-installment series offering five sets of source materials in English (to use with any other language in a language pair), and five sets of source materials in American Sign Language (ASL). 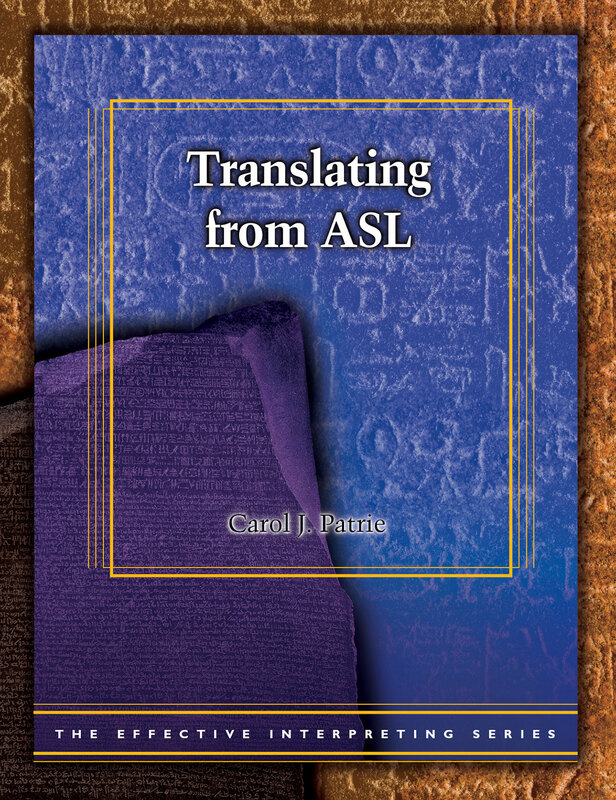 The series takes the complex skill of simultaneous interpreting and breaks it down into manageable components, allowing interpreters to strengthen the individual skills that lead to effective simultaneous interpreting. 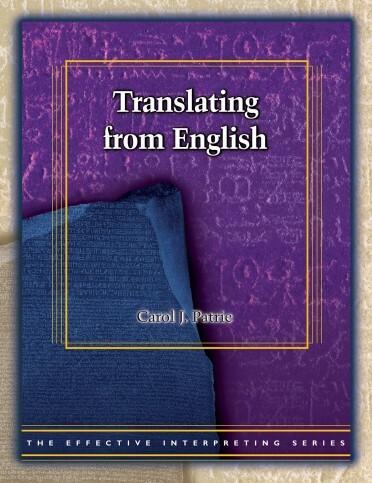 Carol J. Patrie, Ph.D. known nationally and internationally, and was instrumental in designing the Masters of Arts in interpretation program at Gallaudet University. Patrie is one of the foremost professionals in the fields of interpretation and education, with a focus on curriculum and materials design, national standards, and education for educators.